Hospital pharmacy queue. 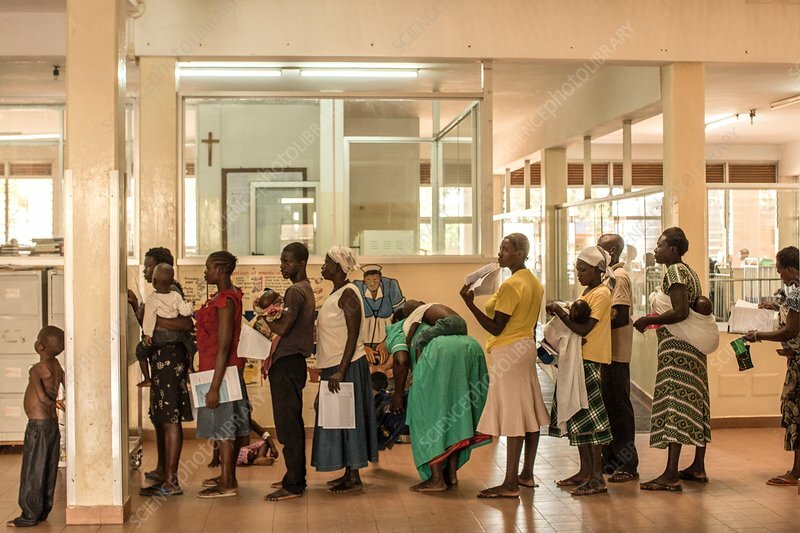 Hospital patients and relatives queuing to collect drugs from a hospital pharmacy. Photographed at St Mary's Hospital, Lacor, Gulu, Uganda.